My old roommate K is getting married this summer (yay! 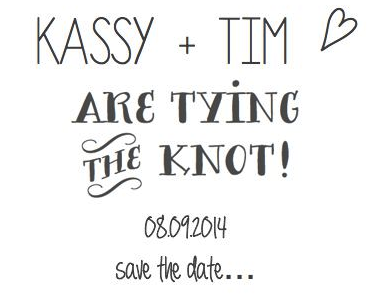 ), and she sent out a very cute, easy, and affordable DIY save the date that I wanted to share here. I'm all for a project like this, because you have complete control over the feel and coloring and can be fully invested in production. I want my wedding to feel like something I did, not something I bought, ya know? Didn't she do great? Here's a super quick rundown of what she did. First, gather your supplies. 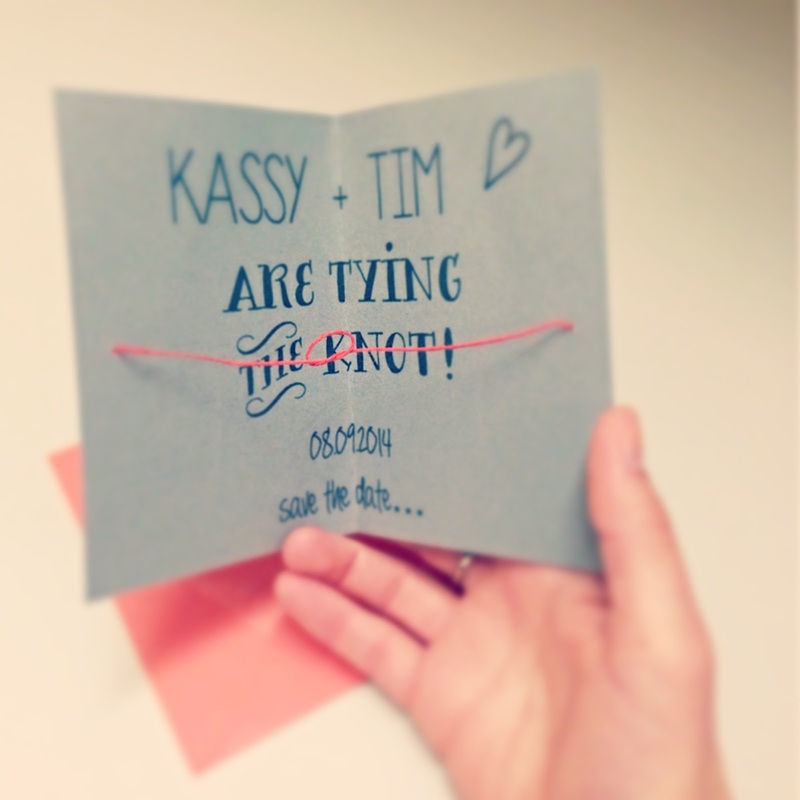 She found a free download of the "save the date" text here, then used a regular printer to transfer it onto the card stock. Finally, measure the halfway point (2.5") to make holes near the edge of each side. 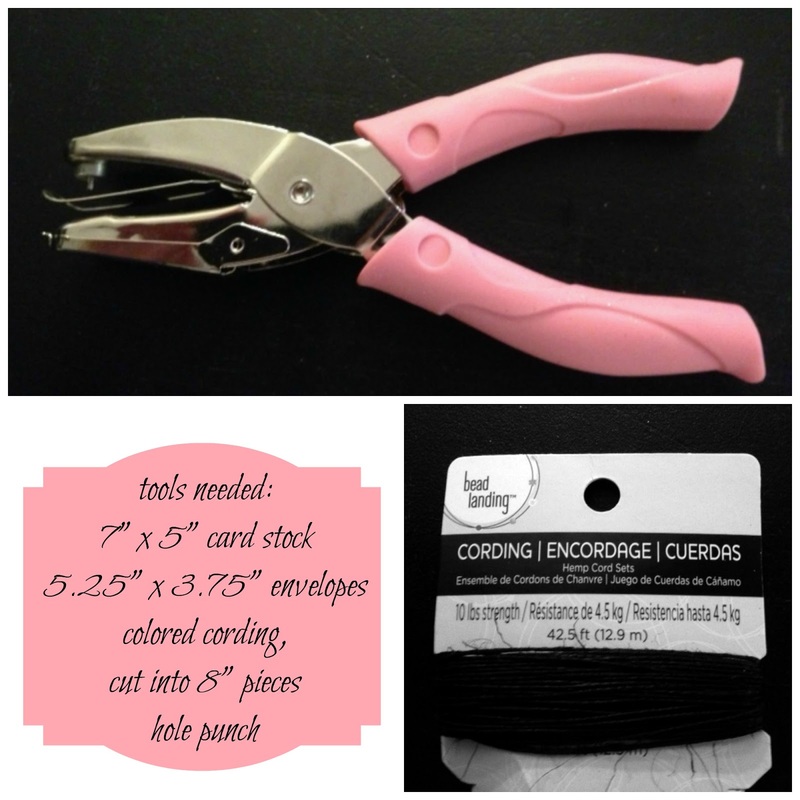 String your 8" piece of cording or hemp through the holes, remembering to loop it once in the middle (it would be rather anticlimactic to pull open the card without there being a knot). Pop it in a color coordinated envelope and head to post office!